Say goodbye to overdraft fees, high management charges and penalty fees. The important thing to remember is that with any Engage account, there isn’t any overdraft facility – so no spiralling debts from overspending. Whatever Engage account you have, the very low fees that do apply to some transactions are easily offset by the cashback you can earn by shopping at our partner supermarkets, retailers and local stores. See Cashback Rewards here. Spending your money for goods and services within your community is rewarding with Engage. 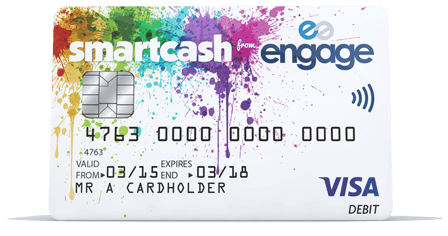 Not only do you support your local retailers and services, you can also benefit from cashback and exclusive discounts when you use your Engage card. Look out for the Engage logo displayed in your local retailers and service providers. Worried about managing your money? Want to take the stress and hassle out of paying your rent, mortgage, utilities, phone bills? 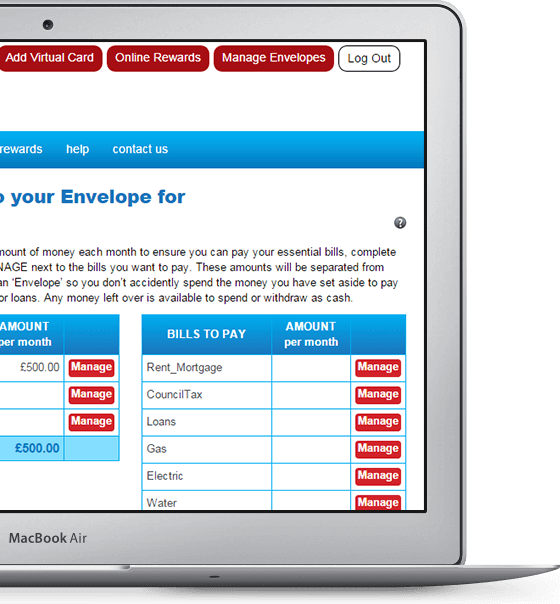 Your Engage account comes with a special feature that allows you to place money into virtual Envelopes so you don’t accidentally spend the cash you need to pay essential bills. Using Engage Envelopes is as easy as 1-2-3! Sit back and relax! Now when you get paid, your ‘disposable’ money is left in your account to spend as you wish, whilst the money required to pay your bills is set aside in virtual envelopes to be paid out automatically when they become due. Earn up to 15% on everyday shopping and treats from our local and national retail partners, (click here for more information). Also exclusive deals available on utilities, phone contracts and insurance products (coming soon). Engage Visa debit card and account is issued by Contis Financial Services Ltd who is authorised by the Financial Conduct Authority to issue e-money (Firm Reference Number 900025) and is a member of Visa. 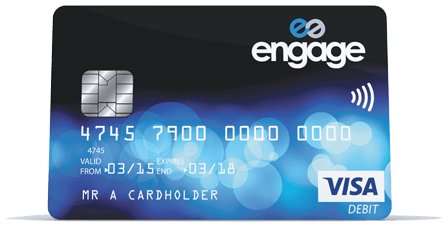 Please note that the Engage is an electronic money product and although it is a product regulated by the Financial Conduct Authority, it is not covered by the Financial Services Compensation Scheme. We ensure that any funds received by you are held in a segregated account so that in the unlikely event that Contis Financial Services Ltd becomes insolvent your funds will be protected against claims made by creditors.